I just stumbled into what might be my favorite store in New York. It's kinda my last day here so I decided to get my favorite earl grey ice cream from Van Leeuwen and went strolling along Atlantic when I noticed this enormous storefront. 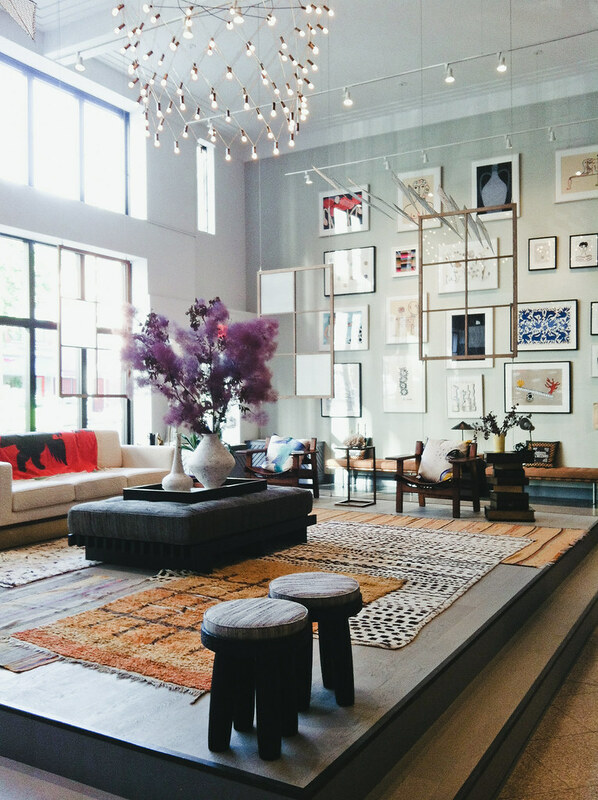 Boerum House & Home is a beautiful new home store in Brooklyn. It sorta feels like you're in someone's loft with impeccable taste. There's even a kids room in the back with a teepee which I thought was kinda cute. It's a mix of old and brand new home goods, with an impressive inventory of ceramic works by Brooklyn artists, too. There's also a little library of art & design books. After going home to learn more about The Boerum, I found out that it was created and designed by Partners & Spade which makes perfect sense because everything they do is perfection. Dwell recently featured them so hop on over to see more photos and learn more about this new gem in the neighborhood. 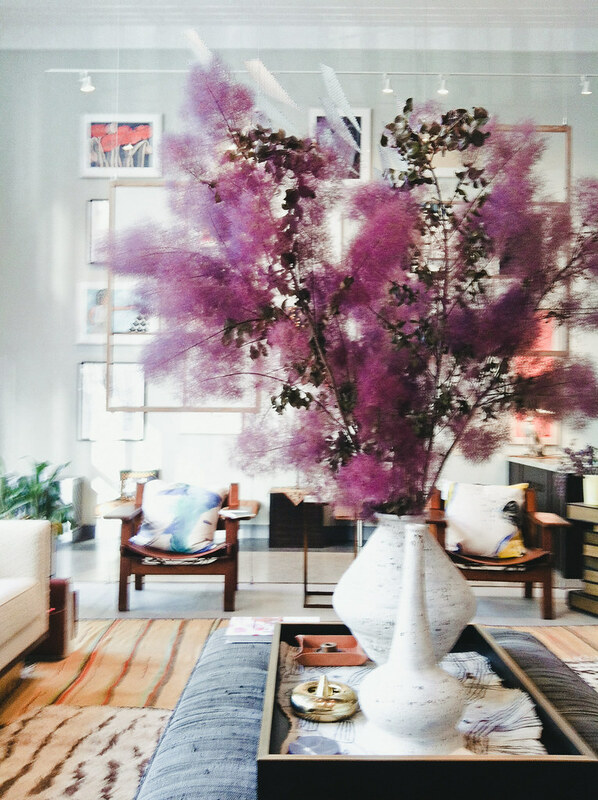 Also, does anyone know what kind of flowers those purple fluffs are? They're so pretty!